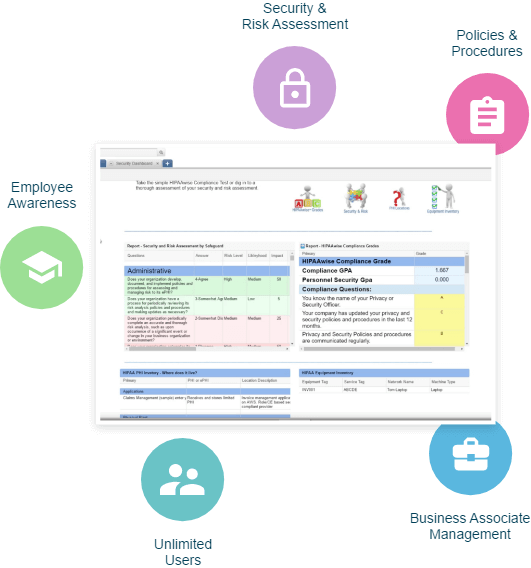 Maintain basic standards, share knowledge about patient privacy, and easily prove compliance with the HIPAAwise™ - The van Halem Group Solution Complete Risk Assessment Tool. Getting started with HIPAAwise™ - The van Halem Group Solution is easy! 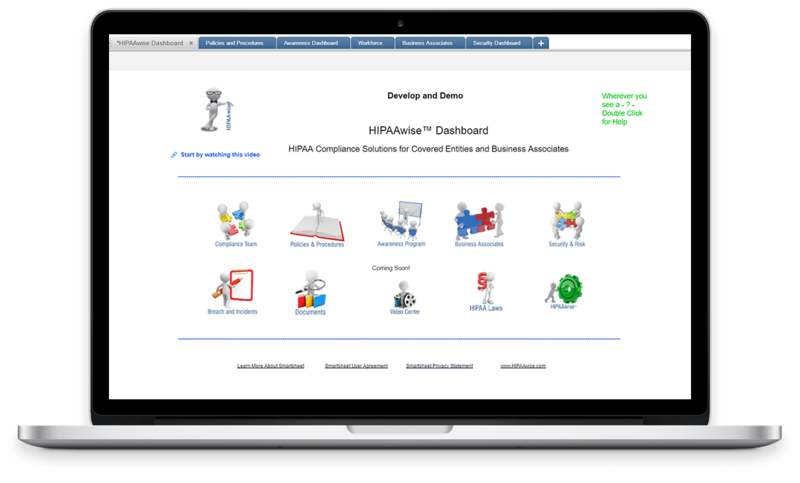 The HIPAA dashboard showcases all HIPAAwise™ - The van Halem Group Solution modules that you need to maintain HIPAA compliance. 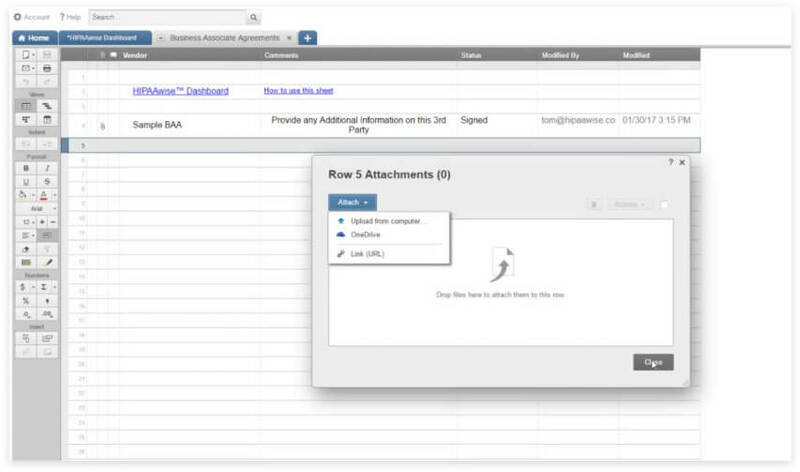 Check back monthly for updated video tutorials that are created to help you successfully utilize the HIPAAwise™ - The van Halem Group Solution Complete Risk Assessment Tool at your HME business. HIPAAwise™ - The van Halem Group Solution provides you with everything your business needs to be HIPAA compliant. HIPAAwise™ - The van Halem Group Solution is perfect for any company that works with patients or patient data and has less than 1,000 employees. "After receiving the OCR's email informing us of the audit, instead of starting the fire drill of gathering information, ACU-Serve simply submitted what was already developed and maintained in HIPAAwise™. We knew that we had the requested info but with only 10 days to submit, the pressure was definitely on! HIPAAwise™ gave us the framework to provide exactly what was requested and shined new light on how disjointed our HIPAA compliance program was prior to engaging. With HIPAAwise™, everything was in one place and we haven't been asked for any additional info since our submission. The price point makes it a no brainer!" - Jim Knight, CEO, ACU-Serve Corp.
"When I heard about the OCR HIPAA compliance audits, we were forced to look at the status of our HIPAA compliance. As a company, we have BAA's, security breach protocol, physical and electronic security plans, HIPAA training for our employees, strict data encryption policies and a compliance officer. The part we were lacking was a centralized location to store, maintain and update everything HIPAA related and the ability to show our compliance efforts. In one easy, affordable, and effective application, HIPAAwise™ gave us just that!"